Cleanse, exfoliation hydration mask with L.E.D and scalp massage tucked up on a cozy heated bed. This mini pick me up will help brighten and hydrate your skin. And leave your mind feeling soothed, balanced and uplifted all in 30 mins! Green LED light therapy works wonders on improving low mood associated with S.A.D seasonal affective disorder. The perfect body blitz treatment – an energising and refreshing full body brush and mineral salt exfoliation followed by an energising and rigorous massage that is focused on the upper and lower legs; getting your circulation going and enabling elimination of toxins. Perfect detox treatment to aids to reduction of the appearance of cellulite. Perfect to kick start your summer body prep. Don’t miss out on these fantastic Salon Promotions ! Relax and pamper your body or skin with a choice of holistic massage or skincare treatments. 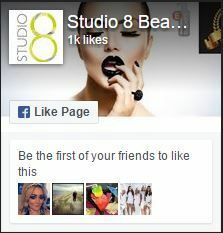 Call 023 92 380 692, book online at studio8beauty.co.uk or book by downloading our app. 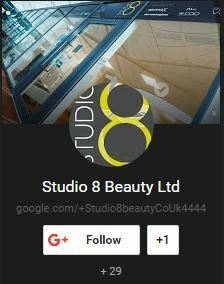 Book your Beauty Appointments using your phone. Download “mySPAapp” available on Google Play & Apple App Store. Select Studio 8 Beauty. Offers available Tuesday – Saturday and cannot be used in conjunction with any other offer voucher or discounts. Packages/courses must be paid for in full on the 1st treatment and must be taken by the same client/same day, unless otherwise stated. 24 hour cancellation policy applies. A £20 booking deposit may be required for some treatments when booking over the phone or in person at the salon and within 24 hours when booking online. Deposits or pre payments are held on account and used towards your appointment on the day but are non-refundable if your appointment is cancelled less than 24 hours prior to treatment or if you do not arrive for your appointment. We reserve the right to charge 100% of the full treatment cost for missed or late cancellation appointments where we are unable to rebook the time. Min 24 hrs notice required to reschedule Complimentary/bonus/FREE treatments & follow ups and will be forfeited if Ts and Cs are not met. A secure PayPal deposit button is available at https://studio8beauty.co.uk/client-information/ A patch test required where indicated (no exceptions). Package add-ons available for packages only and not available separately. Courses are valid for 3 months unless otherwise stated or agreed in writing.